There aren't many fashiony/beauty things I wouldn't try at least once but I have to admit, I'm not the most adventurous when it comes to lip colors. I googled "blue lips" for shits and giggles and the first thing that came up was a health article about the causes which included carbon monoxide poisoning, a collapsed lung and acute mountain sickness. 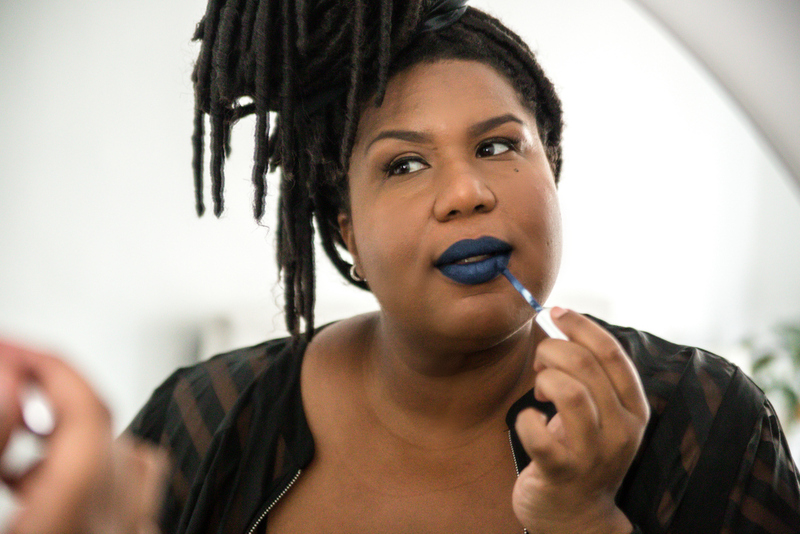 After self diagnosing myself with all of the above, even though I haven't been on or near a mountain since August - I realized I should probably google blue lipstick. Ahhh! I've had this shade (metallic admiral blue) forever and have touched it maybe once only to quickly sit it down and wipe it off. 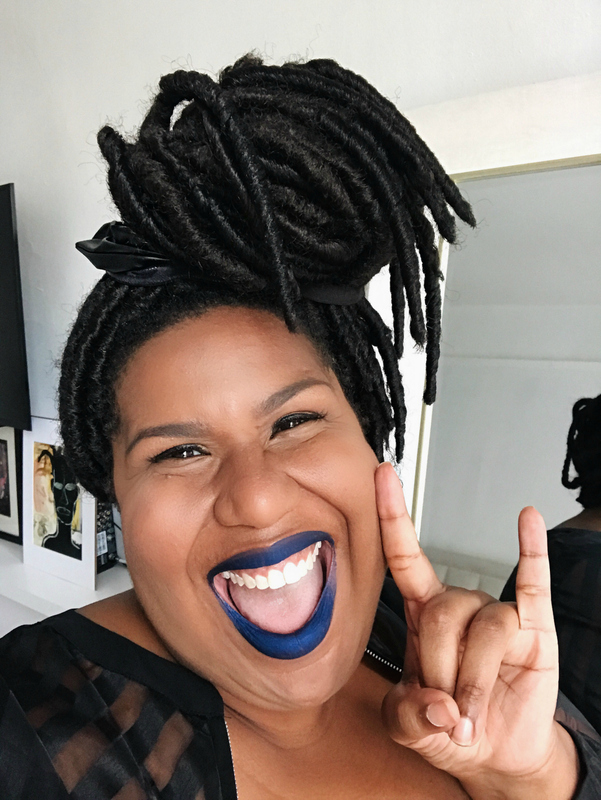 If I'm a fearless fashion unicorn, can I be afraid of a silly little lip color? 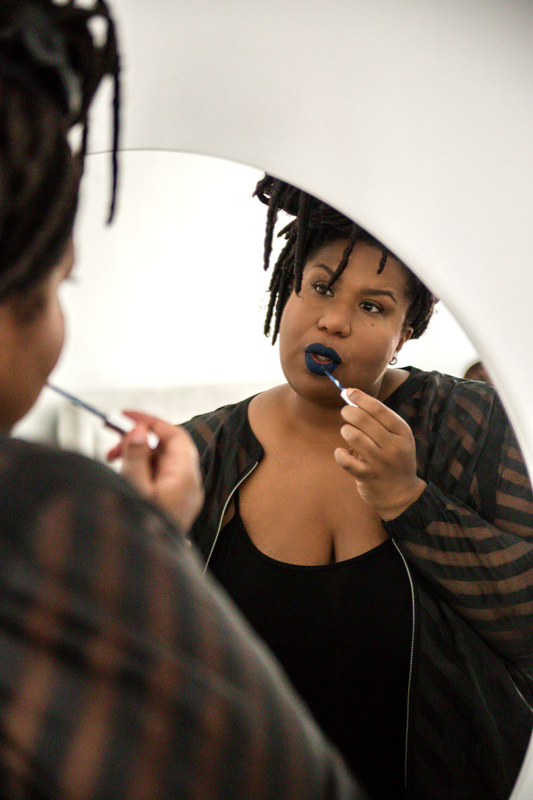 Are blue lips only ok if you're 17? Will I be judged? Tormented? Arrested??? OK, that's dramatic but like what would happen? Fast answer, nothing. A few compliments, one stare from an elderly lady while buying coffee and an epic selfie. See below.